Connect electrode cable and patches. 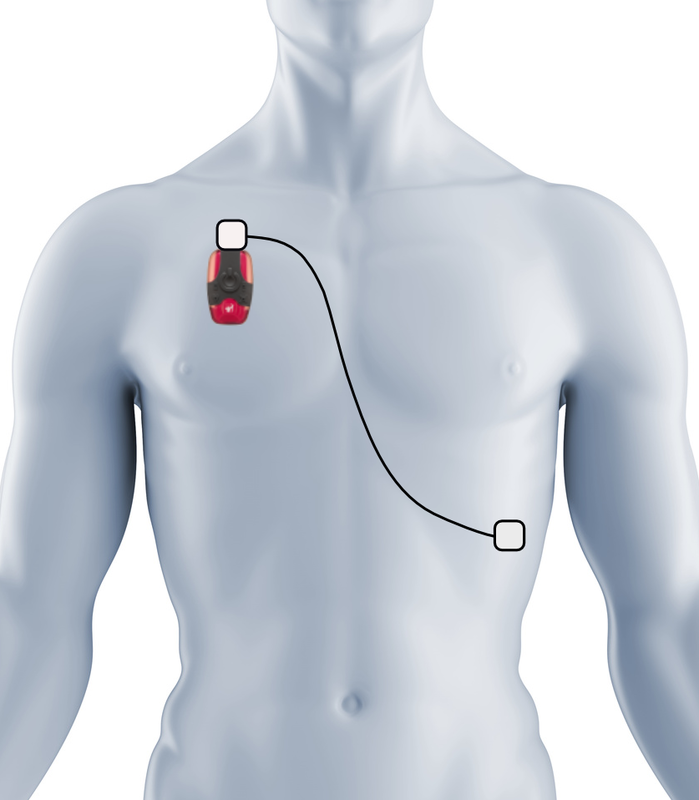 Attach the patches to the body (as shown in the picture) and push the power button of the IPECG. Connect the App to the IPECG via Bluetooth by clicking IPECG on the homescreen of the App. You can add a new profile/person by clicking New Profile. Fill in the data of the person and click save. Click on the profile to do a new measurement. NOTE: The email adress must be correct. If the traffic light is green, you can start a measurement. After the measurement is completed, please click on the date (highlightet grey) and show results. Now you see the result. If you click on the bar of the AR-Index, you see an example of a full report. If you click on the Index of the signal quality, you see the completely recorded ecg.